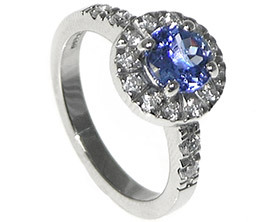 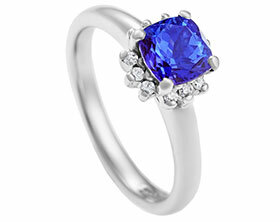 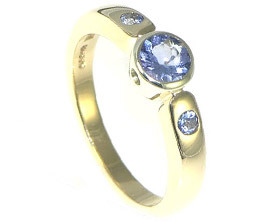 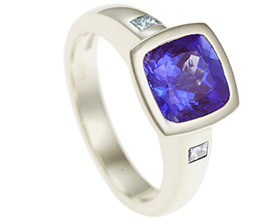 Gavin proposed to Yvonne with a tanzanite he had bought while he was in South Africa. 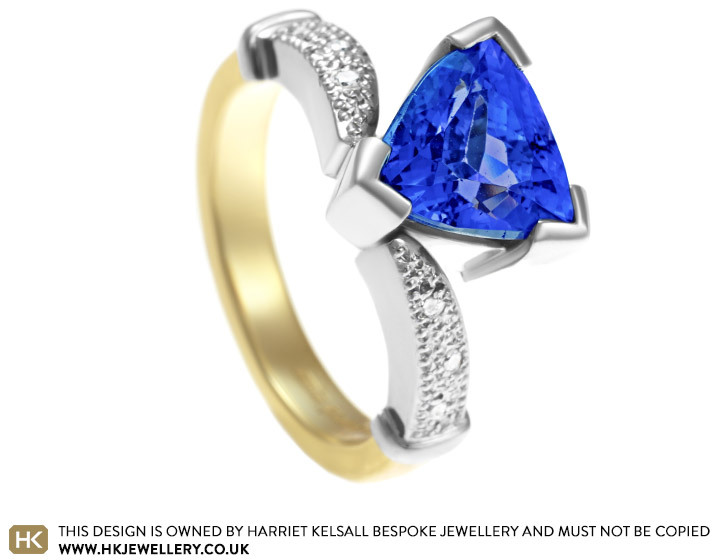 Yvonne loved the stone and liked the idea of creating a wishbone design to compliment the trillion cut shape. 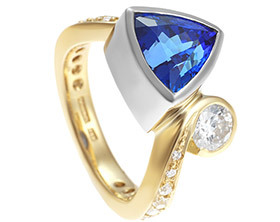 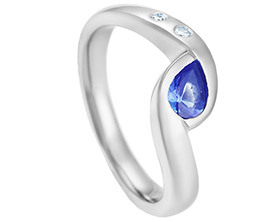 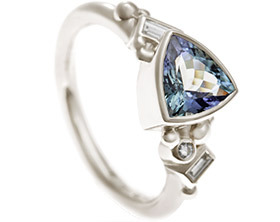 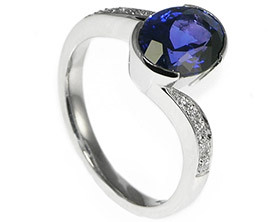 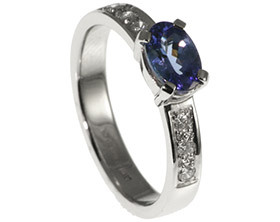 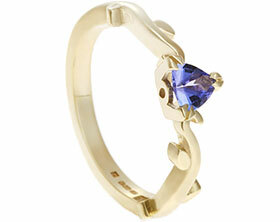 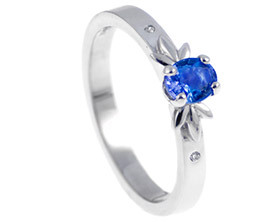 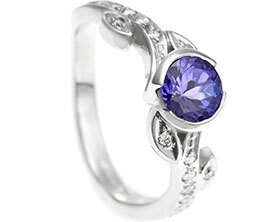 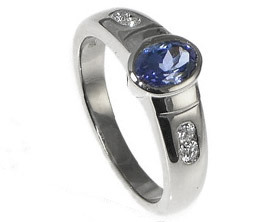 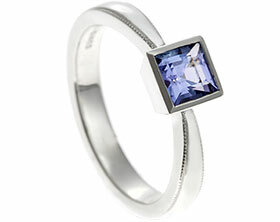 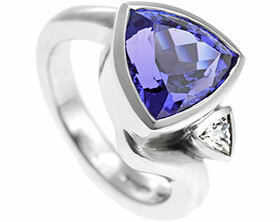 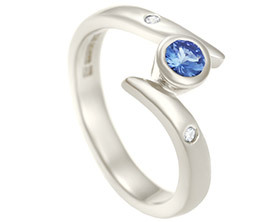 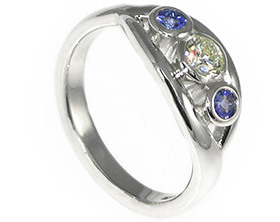 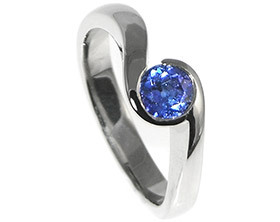 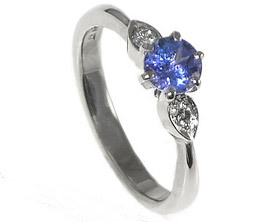 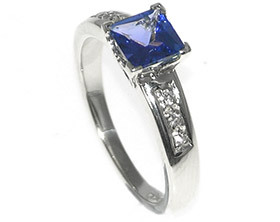 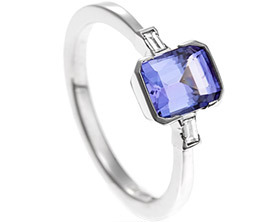 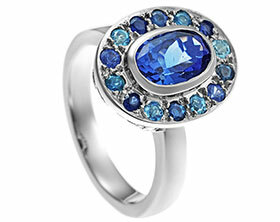 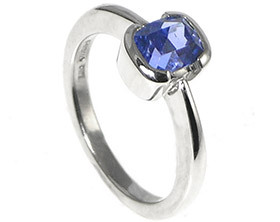 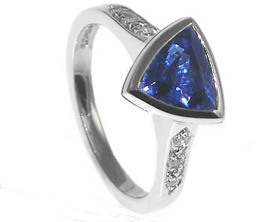 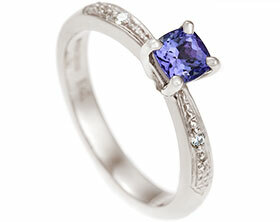 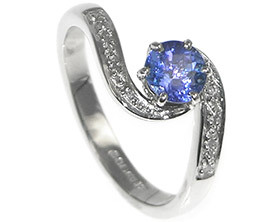 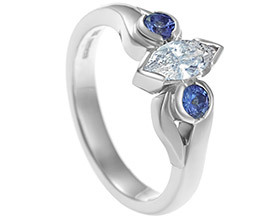 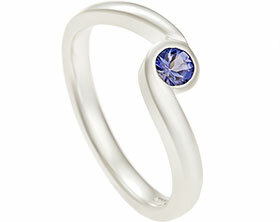 We created a ring using palladium to hold the tanzanite in a claw setting. 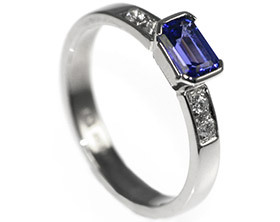 The shoulders of the ring have been set with six 1.2mm diamonds and finished with a sparkly grain detail. 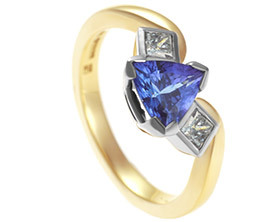 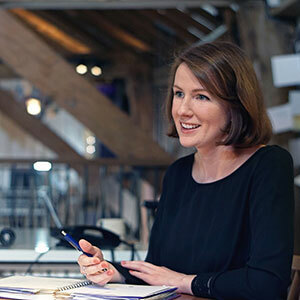 The back of the ring is crafted in 18 carat yellow gold to complete Yvonne's vision of the perfect ring.